E-Signatures are an essential part of an enterprise digitization strategy. Among banks of all sizes, there is tremendous interest in removing paper from business processes and going digital. Learn the most common starting points for e‑signatures, plus the top targets for expanding across the enterprise. 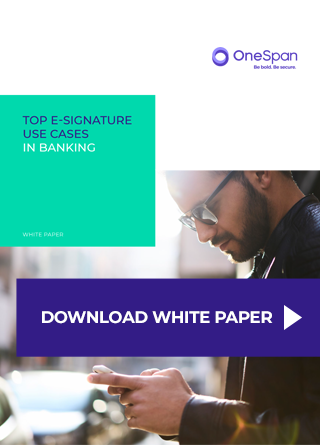 This 8-page report on the top 6 e-signature use cases in banking is just one step away. Please fill in the form below to download your copy for free. One e-Signature platform for all of your use cases. Get started!